There are plenty of physical benefits of dance classes for children of all ages. 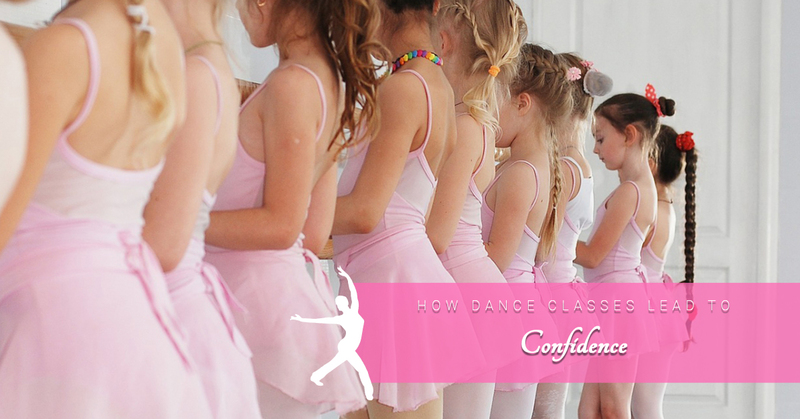 However, many people may not realize the positive influence dance classes have on a child’s self-confidence. In fact, our childhood years are the most defining years of our lives when it comes to building a strong self-esteem and the environment you were raised in has a significant impact as well. Miss Colleen’s Elite Dancentre has been teaching ballet classes, jazz, tap, hip-hop, and more children’s dance classes in Rockville Centre for many years. Our dance academy has had the privilege of teaching girls and boys of all ages more than just dance, we’ve contributed to teaching our students how to face challenges, make new friends, and most of all, build self confidence. Positive self-esteem is a tough lesson to learn, especially as an adult, and this reason alone emphasizes the importance of performing arts in our children’s lives. Dance lessons can be enjoyed by adults and children alike because of the fun and energetic nature to express ourselves. Let’s take a closer look at the common self-esteem issues children face and how taking dance classes in Rockville can make an improvement. For generations, people have struggled with their body image and it all begins during childhood. We already how dancing is an excellent form of exercise and the fact that it has the potential of burning calories and toning muscles. But we’re going to focus on the attitude and mindset of body image. Our dance school in Rockville Centre focuses on the dance moves and to trust our body’s ability to perform. With a little practice, time, and a positive attitude—our students succeed. Our students will learn to focus on their performance, agility, and appreciation for what they are capable of doing. There is no “cookie cutter” dance body, just like every body is different, dance teaches that perspective at an early age. Dance provides an opportunity to attain acceptance and be present in the moment. In order to master a challenging dance move, you have to keep trying. There isn’t an opportunity to stop and dwell on mistakes. Instead, dance lessons encourage the ability to learn from our mistakes, let go, move on, and continue trying until we are satisfied. The energy and positivity found in our dance class is the perfect environment for kids to brush things off and keep moving forward. Just like team sports, dance classes put everyone on an equal-level playing field, meaning that everyone contributes as a team for a complete performance. Many children are faced with the playground dynamic where the loudest, most outgoing kids steal the show. Those rules don’t apply on the dance floor as the group has to work as a unit with a shared opportunity to shine. In addition, the shy, quiet kid on the playground may find that ballet or jazz dance classes is their way of expressing themselves. Some parents claim that their shy son or daughter is completely opposite while they are dancing. Overcoming stage fright at a young age will benefit that child later on in life in many ways! Another benefit of dance classes is an opportunity to make new friends outside of school. If your child has been struggling to make friends at school because they can’t seem to find anything to bond over, their chances of making friends at dance class is higher. Children’s dance classes at Miss Colleen’s Elite Dancentre focuses on inclusiveness and positivity, allowing kids to let their guards down a little more and express themselves more freely. Once we’ve reached adulthood, it’s too easy to forget how much our younger years affected the way we are today. As if children don’t have a lot to learn as it is, teaching them self-esteem and confidence is a vital lesson and can be taught through other channels. At Miss Colleen’s Elite Dancentre, we teach more than just ballet, jazz, hip-hop, and tap dance classes. We help your child grow and discover their own strengths and confidence that will stay with them through adulthood. And that’s a lesson we’re proud of. If you and your child are interested in registering for dance classes in Rockville Centre, visit Miss Colleen’s Elite Dancentre today to learn more and enroll in lessons today!